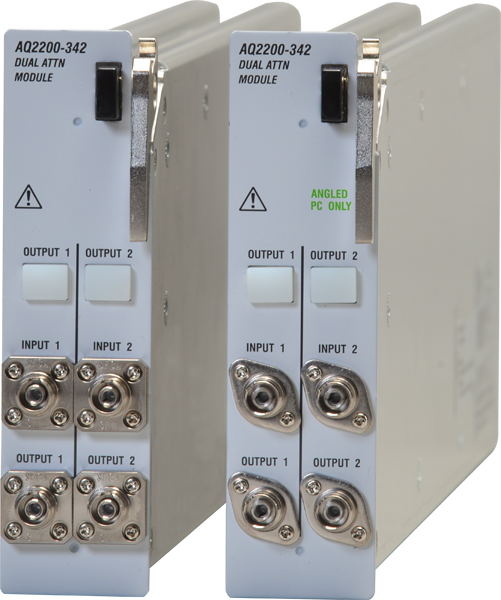 AQ2200-342 DUAL ATTN is single slot module equipped with two optical variable attenuators. It has built-in optical power meter for monitoring output power with an APC function which keeps constant optical output and simultaneously set the absolute value of arbitrary optical output. In addition, it also features shutter function which shuts off optical output. This module is effective in saving space on active devices such as optical amplifiers and optical transceivers, and also on optical transmission equipment testing and inspection systems. Reduced energy, emission of CO2, NOX and SOX about 45% compared to the previous model.